*This article is the second in a two-part series from Bryce Gaton. The first installment – The What, Why and When guide to buying an electric vehicle in Australia – was published on RenewEconomy’s sister site, One Step Off The Grid. Overseas, new EV sales currently make up from 5 per cent in California and more than 25 per cent in Norway. (And growing in both cases). In Australia, it’s less than 0.1 per cent (and falling). Why is this the case? Well, one answer is choice! The passenger car and SUV market in Australia is commonly divided into around 12 ‘segments’, plus light commercial vans that can be driven with a car licence. In Australia, this equates to two ‘light passenger vehicles’ (Renault Zoe & BMW i3), one ‘upper large passenger vehicle’ (Tesla Model S), one ‘large SUV’ (Tesla Model X) plus one light commercial van (Renault Kangoo ZE van). That’s just five in total – three of which are regarded as luxury cars, with the only ones under $50K (Zoe & Kangoo ZE) arriving in just the last few months. If something in those segments (and price ranges) does not meet your needs – bad luck for trying to choose an EV version. Meanwhile overseas, there are many, many more EV options to choose from. For example, to pick just two segments in the USA: there are two EVs in the ‘micro’ segment (Smart for two EV, Fiat 500e) and six in the ‘small’ segment! (2018 Leaf, Ford Focus EV, Hyundai Ioniq electric, Kia Soul EV, Mercedes Benz 250e, Volkswagen e-Golf). Mind-you, some are not available in all US states. Those not available across the US are called ‘compliance cars’ (such as the Fiat 500e and Ford Focus EV) and are sold only in states that mandate sales of EVs. However they do prove that the major manufacturers will build EVs (if sometimes grudgingly). On top of this, the three most anticipated EVs for range and price are already available in the US – these being the Chevrolet Bolt, 2018 Nissan Leaf and the Tesla Model 3. In Europe there are even more EVs models available. For light commercial vans, they have a choice we in Australia can only dream of: the Renault Kangoo ZE (in several sizes, not just the 650kg payload version offered in Australia), the Renault Master ZE in six versions (payload 975 – 1128kg), the Nissan e-NV200 van (770kg payload) and the Citroen Berlingo Electric van (636kg payload). Europe also has had the Renault Zoe since 2013, where it has been the biggest selling EV since 2015. Sadly, it took till late 2017 for the Zoe to reach Australian shores (and even then, only in limited quantities). The Bolt (rebadged as the Opel Ampera-e) and the 2018 Leaf are both on sale in Europe too – and the Model 3 should reach the left-hand drive European market late this year. prices quoted are before the addition of On Road Costs (ORCs). The table does not show the recently announced Jaguar Land Rover offering, the all-electric SUV I-Pace, which is expected to retail in Australia from October this year from around $120,000. The table does not show the Hyundai Kona, another electric SUV that should be available in Australia in late 2018 (price to be confirmed). One can speculate on the reasons (or start conspiracy theories) for why the major manufacturers won’t bring EVs to the Australian market – but perhaps the following results from a recent KPMG survey of global auto executives puts it in perspective. (Source: KPMG Global Automotive Executive Survey, 2017). 62% of executives absolutely or partly agree that BEVs will fail due to infrastructure challenges. 76% of the executives see ICEs as still more important than electric drivetrains for a very long time. 50% of executives believe battery electric vehicles to be the key automotive trend going forward – but only because of the regulatory environment dictating it. 78% of executives absolutely or partly agree that FCEVs (fuel cell EVs) will be the real breakthrough for electric mobility – explained in part by execs believing in fuel cells due to their be their strong attachment to the existing infrastructure and traditional vehicle applications*. …then ICE vehicles will be offered by default. One reason is Nissan Australia’s appalling policy of refusing to offer a battery replacement service. So as soon as your battery wears out your Leaf has no resale value because it can’t drive anywhere, there is no longer a way to achieve the basic function required of a car. The rest of your car is not worn out and perfectly serviceable, but its only value is scrap and Nissan won’t budge. In the US Nissan do offer to replace the battery for $5,000 and I imagine it is similar in Europe, but Nissan Australia point blank refuses. I am a Nissan Leaf owner and was gobsmacked to learn this as my battery began to die. When we purchased the vehicle we received assurance there would be no problem replacing the battery but Nissan has reneged! You are still driving the Leaf so how have you overcome the dying battery issue? We have not overcome the dying battery issue. I was forecasting the near term future when I said: “as soon as it wears out it has no resale value”. This was not a statement of current condition, but instead an imminent one. Its range is down to less than half so it remains drivable, but its use is becoming quite limited now. I can still make it into town and back on a charge if I drive carefully. Maybe RenewEconomy could take this appalling policy decision (to refuse to replace worn out batteries) up with Nissan and see what they have to say for themselves. What an awful situation you are in. How can a car maker expect to have customers with this sort of business attitude. As they started so they are now. They do not want to sell the vehicle. Rob, I would be talking to the ACCC and fair trading. You had a reasonable expectation of service. No one would buy a new vehicle if they knew the life could be less that 6 years with the likely declining failure of an essential, irreplaceable component. I would expect this is in the too hard basket for Nissan Australia, but has the potential to do global brand damage. I expect all it would take is a quick phone call from Nissan head office in Japan once the brand is suitably tarnished on social or mainstream media and suddenly your problems are sorted. Thanks Guy. That is a great suggestion. I’ll report back with how I got on. I heard EV batteries essentially last forever. Corollary: how and where can we make noise and promote some change here? I am sure if you can get a group buy going with 50 plus vehicles you may have a goer. Maybe groups such as “Get up”? I have never seen an advertisement for a Tesla. Why the vehicles sell themselves and more demand than the company can produce. 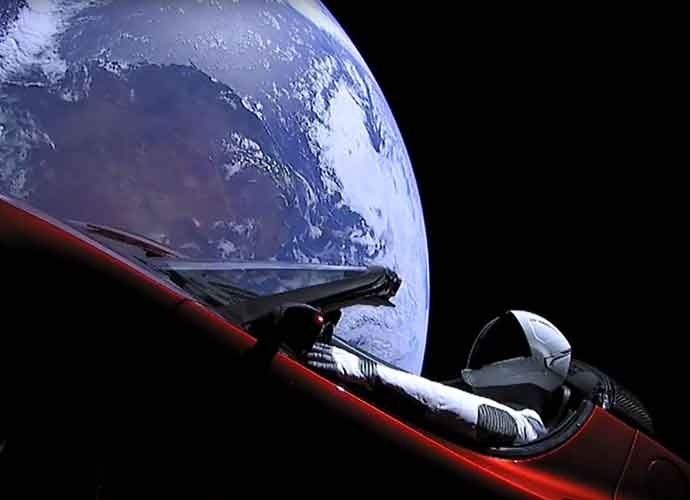 Tesla advertising is unconventional, and among some of the best and more effective in the world. Consumers demand products before production and pay deposits without certainty of delivery. Yes and that is what irks me the most. They can do it but they choose not to offer the replacement product for sale. They will only do it as a warranty claim and battery warranty last 5 years. So if your battery claps out in 6 years you are left with a sculpture for your garden with no resale value. If for some reason it wasn’t technically possible to replace then it would be a little easier to understand. But they can do it and won’t. I’d be very grateful if you could send me the contact details for the Nissan dealer than managed the warranty claim. At least they have some clue about how to get the battery changed. Our local dealer is completely clueless. Maybe I can chat with a dealer who knows what is going on and see if they offer some suggestions. Keep us updated Rob. The service ecosystem around EV’s is a huge unknown. I can’t imagine Nissan is encouraging 3rd parties to get in the service business, but markets abhor a vacuum. As a manufacturer, you guarantee to take reasonable steps to provide spare parts and repair facilities – a place that can fix the consumer’s goods – for a reasonable time after purchase. The US has federal tax credits of up to $7,500 for EV’s. Now, if the Australian government… hahaha, when’s the election? One national political party did have a pro-active electric vehicle policy, but too few Australians voted for that. The problem is with Australians, not the government we elect. Same problem with action on climate change. That political parties can suggest spending public money on extending coal fired power stations, and go to elections advocating for more coal fired power stations just shows you the general ignorance of the Australian voter, or their priorities in life. We might recall the words of General Sir John Monash when in 1930 he was invited by some disgruntled compatriots to lead a military coup. Very true Monash would not join the movement to install a marshal state into Australia. I think perhaps it was before 1930 but. “The problem is with Australians, not the government we elect.” Spot on!! The standard Aussie wants to drive their 3L Turbodiesel, pay no gasguzzler tax and tank fuel for cheap. The attitude would quickly change if unleaded would be 2.50$ and you’d pay a hefty rego price for anything above a 2L/4cc engine. Why are we waiting? Because Australia voted out a Labor Government in 2013. Some of it is due to the manufacturers, but they follow policy environments rather than lead them. And yes, we need to *force* manufacturers to sell electric vehicles, and charge them real money for every non-zero-emissions vehicle they sell – large and small. Ahh, the turkeys who vote for thanksgiving. Those who vote for neolibs without understanding what they stand for. I will give you 1 good reason that Australia is not going EV. When the Nissan Leaf was released I rang the manager of Nissan in Australia. Not exactly the answer i expected. I put my name down to buy the first release in Australia. The price $52.000 while in Japan in AU dollars and the USA and Europe was $32 mind I was just a tad disquieted. Perhaps this explains why Australia is moving so slowly toward EV. Yes one of the 12 first purchasers would have got it free no wonder when they jacked up the price so much! When brand new ones were available in Victoria for $40k, near new off the Nissan Fleet for $34k and I think government price around $30k (need to check the invoice to be sure) they still did not sell well. Price is a monstrous barrier, but there are other factors as well. I visited a Renault dealership today yo ask a few questions about the upcoming Zoe. The man was quite polite but he said he had been told nothing about it. He didn’t even know there was an online brochure available from the Renault website. So chances are Renault are heading down the same disinterested path that Nissan took. Exactly they are as disinterested as when the first vehicle was released. Hint do not talk to dealers they have no clue frankly. It’s pretty sad when a sales team at a national level is so disinterested in the future of the product they are selling. With the exception of Tesla, for just every brand that was offering an EV, I have come across at least one person who had a dealer for that brand try to talk them out of buying that EV. The dealers didn’t want to understand them, didn’t want to sell them. Are you referring to this: https://www.qut.edu.au/international/study-abroad-and-exchange/news/news?news-id=89981 or how to get to what you mentioned? Hi Malcolm! Yes, I did and those results are imminently to be released… Thanks for the nod. In the first few years, the manufacturer usually has a fixed price servicing arrangement which you have to follow to be confident of being able to make a warranty claim. At least during that period, the dealer gets similar money to servicing any other model but doesn’t have to do very much for it. Hopefully this behaviour will have the same effect as the rip-off energy merchants, creating a huge demand that may be supplied by others. China’s cars are coming along. Yes and considering Geely now own Volvo they are very into EV so good times to come shortly. Same here, I expect my first BEV to be a Chinese car. Don’t think I will be able to afford the premium prices they obviously expect from us.. I actually considered the new 2018 Leaf before I heard the Kona EV was coming. Curious on pricing. The attitude of Nissan Australia is a real concern. The eGolf would be a genuine contender in Australia if there were incentives, no rego would be a great start. No problem if you are in South Australia. Like someone else said; buy it there and drive it across the border. The simplest explanation is that every Australian buys their car on the assumption that a few times a year it will be used on a long journey where the absence of fuelling stations will matter. This fact will turn up in car company market research and lead them to conclude there is an insufficient market to target. To this can be added the myth of Australians as early adopters. The classic S shaped adoption curve can be approximated by a model that bases adoption rates on the percentage of people who have already adopted. The Australian adoption curves usually are flatter longer and then suddenly start driving up the curve. The interpretation is we are more influenced by what each other is doing than other markets. I agree David. Once a fair few people get their hands on a really compelling car such as the Tesla Model 3, lots of people will be looking on and asking questions and before long sales will skyrocket. ….. Regardless of any government incentives. The latter sentence is the classic definition of “Sheep”. It’s also true. Which is why those of us who ‘know better’ have a certain civic duty to lead by example. Yes, I know… but I am exhausted; I couldn’t cope with this ubiquitous stupidity… until I read this: https://qz.com/967554/the-five-universal-laws-of-human-stupidity/ — Now I am quite content. It is hard work, and after are recent experience with a climate denier and flat earther, I was literally lost for words… as I could not believe that one soul could utter so much nonsense… I did not event attempt to go against it. That’s a great read, thanks. I find it less exhausting to limit myself to debunking the very narrow arguments “they” always seem to use, and limit to replying once (I sometimes break this rule). I find those rules limit my exhaustion – lost causes are lost causes, chuck them in the ‘stupid’ quadrant and don’t waste any more time. Thanks for the comprehensive scientific explanation. The water level in my well has been the same for years; in my case rising water levels would be a good thing. I have gone on long car journeys both in Australia and Europe. A quick break to charge the car is no big deal in the grand scheme of things. Driving 130kphish in Australia you should still get 400km out of a full charge. And you get about 80% of that back in 40min of charging. Realistically you will travel much slower than 130kph in Australia though. Roads to crappy or too heavily monitored with speed cameras. I personally don’t see charging stations as an issue. They just have to be built. I was referring to perception – and it is the perception of off the major highway kind. Reality is that if you really need to make that kind of journey you hire a vehicle for it. That steeper uptake you mention is now being seen with Solar panels – pretty much everyone in the country would know someone with a rooftop installation. Australians put far more weight on real-world experience than recommendations driven by research or technical expertise. As an engineer it’s really hard to cut through. People trust the opinion of their friends on something more than the trained expert! If people are right about the S curve then very generous incentives up to the point where the market accelerates would be required. 1. The prices of electric vehicles are about $20% higher than the USA (Ioniq US$29500 =AU$38000 vs Renault Zoe AU $47000 are similar cars), and also double the cost of similar ICE vehicles. How would you calculate a fair price for EV? You could add the battery cost of an EV model to the total price of a similar sized ICE vehicle. eg renault Clio $20000 plus 22kWhx$300/KWH =$6600 should be equivalent to a Renault Zoe is $26600 but the Zoe is being offered at $47000. Obviously there is room for improvement in total vehicle prices without any drop in battery costs. This premium must be due to marketing and company policy issues. This country must demonstrate that it is open to the EV business but also demonstrate that we are not stupid when it comes to EV pricing. Our governments could make manufactures an offer : here is an example; for the first 50 000 EV sold they will cover 1/2 the cost of the battery pack if and only if the car company sells the EV at the price of an equivalent ICE vehicle plus the cost of the battery pack. Houston we have a problem. One of the issues with EV is that they are very expensive compared to their ICE equivalents . Besides incentives for EV up take we need disincentives for ICE vehicles. This should not be done to penalise consumers but to discourage manufacturers. Others have talked about emissions standards, but here is an idea that could be considered. Instead of paying excise on fuel this could be charged on the purchase price of the new vehicle. We know that the average car travels about 15000 km a year and uses about 8l/100km = 1200l/year or $480 excise a year over 5 years $2400. Well then, charge $2400 extra on the purchase price of the vehicle and refund the excise on the cost of petrol for the 5 years. A $20000 ICE suddenly costs $22400, the owner then needs to claim this back on his or her petrol invoice. But why pay an additional amount for the battery pack when the manufacturer is saving an equivalent amount by not having to supply an engine, transmission and ancillary cooling, lubricating and exhaust systems? Even today with current battery packs the BEV should be marginally cheaper!? Re stamp duty. In the ACT, the stamp duty on a high emission vehicle is greater than for ordinary cars. The stamp duty is reduced for very efficient cars and zero for electric cars. In the case of Tesla and the Chinese automakers (BYD, Geely, etc. ), Australia is suffering from being a small market. They will go to China and India and the US and even Russia before making a big effort in a small-population market which is not on the major shipping routes. At least you have the S and the X. You’ll get the 3 *eventually* but not until North America, Europe, and China are getting large numbers, so probably not until 2020 or later. Which is reason why we (Australia) must harmonise our ADRs with like country design rules or embrace the design rules of cars certified in like countries. What is happening in this area? Or do we still have a defacto trade barrier? Just maybe you have hit one of the nails on the head. Are the powers-to-be been trying as hard as they can to block EV cars? With Australia’s inept power market those who want an EV would potentially be considering a Vehicle to House/Grid charge/discharge point to offset our ridiculous power prices. Having 30+ kWh of power available is enticing. Every one is pointing out subsidies and incentives, but the other big factor is infrastructure. I drive a Nissan Leaf and without the CHAdeMO DC chargers placed about 50km apart the Leaf is really only useful around town. And 50km is about right for chargers, and we need plenty of them if there proves to be a big shift to EV’s. Think about how far you need to drive to get between petrol stations. And don’t forget Plug in Hybrid Electric Vehicles (PHEV), these are a good option for Australia where all the day to day driving is electric but then they have petrol engine for longer trips. I think the ideas of penalties for petrol vehicles has got to happen, we have huge health issues related to these vehicles that we pay for indirectly through other taxes, start taxing directly related to these issues and it soon makes a difference in choice. Likewise emissions schemes to penalise the lack of EV’s like we see in California and China. What can we see happening around the World? A real change to EV’s is coming. What do we think is going to happen in Australia if the change happens? How easily will we be able to get our petrol vehicles when the rest of the World decides they are no longer available? It might be 20yrs away, but that will go very quickly, and we will feel pretty stupid, if nothing is done in the intervening time to get ready for it. Well, Tesla’s putting in a solid Supercharger network. I don’t see anyone else doing so. @bryce gaton it about time that you and 99% of the worlds population realise the “holland ” is a province of the “THE NETHERLANDS” which is a country………christ this pisses me off….and you a school teacher! We have a federal government with an ideology strongly committed to the myth of the free market, so I suspect very little will happen until and unless we have a change to a more social democratic, more interventionist alternative.